Albian Warp is a community server project currently in development. The aim of the project is to reimplement the online features of Docking Station via a third-party server. This will allow players to send and receive creatures in real time, and allow creatures to use portals to travel between different players' worlds by themselves. Online messaging between players is also supported. The Albian Warp project started out as a forum post by Ham5ter on the Creatures Caves forum in September 2013. SillySina volunteered to help with development, and a client/server was created. 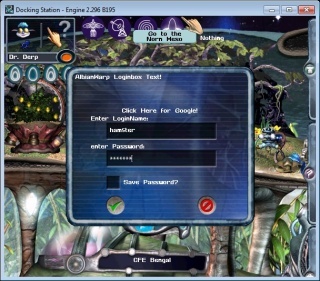 The server featured multi-threaded chat/messaging and used a MySQL Database for storing player and creature information as well as messages. A blog post made in 2014 stated that an alpha version would be released Very SoonTM, however the project stalled. There was a blog post about rebooting the project in 2015, which also stated that the server was being rewritten in Python and Flask. 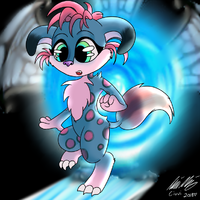 In March 2018, ham5ter stated in a forum post on Creatures Caves that the plans had changed for Albian Warp. He intends to release "a very basic client, server and basic tools that do nothing more than bridging CAOS and the network communication" together with documentation so that theCreatures Community can continue to build on the warp implementation. All of the Albian Warp code is being submitted to a Github repository which can be found here. Ham5ter rewrote the server and client in Python, and Amaikokonut took up the CAOS side of the project. The Caos Coding Cave's #albianwarp server is being used for discussion, communication and all bugs regarding the project. On 4 April 2018, hans was the first norn to be warped between computers (source). In April 2018, information on how to install the AlbianWarp alpha was published on the Albian Warp Github wiki, together with a first and second semantic alpha release. In September 2018, version 0.1.0, the first public beta, was released. This page was last modified on 29 November 2018, at 21:11.